Covers the installation of the kit part number C4118-69001, fuser RG5-2661 and rollers RG5-4283, RF5-1885 and RG5-3719. Covers the installation and replacement of C8057A or C8057-69001, fuser RG5-5063 and rollers R5-3718, RF5-3114 and RG5-5295. This describes the installation of the kit Q2429A, fuser Rm1-0013, rollers Rm1-0699, RM1-0037, RL1-0019. This describes the installation of the kit, C3914A or C3914-69001, fuser RG5-6523, Transfer roller RF9-1393 and rollers RF5-1834. 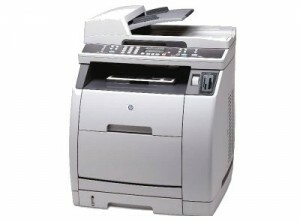 HP Laserjet 5000 mainenance kit installation instructions. HP Laserjet 5000 mainenance kit installation instructions. Click on the link to view the instructions. This covers kit part number C4110-67923, fuser RG5-5455, rollers RB2-1820, RB2-1821, RB1-8865, RF5-3439, RG9-1485, RF5-2634, RG5-3579.